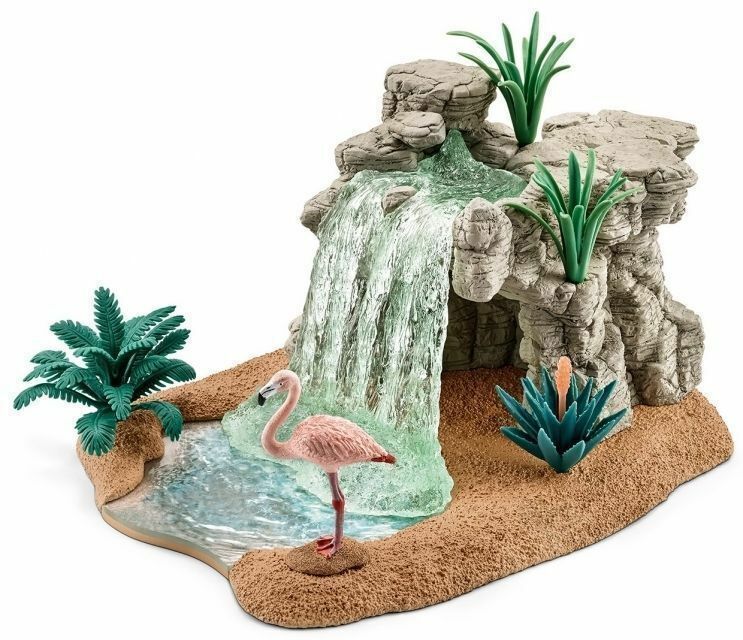 The flamingo has found a nice spot by a waterfall. 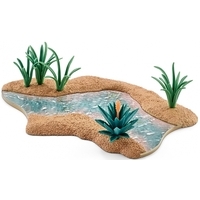 It will stay here as long as the water stays nice and salty and the fish don't eat up its food. With its long legs, it can wade considerably deeper into the water than most other birds and therefore finds more food. Once it has discovered a tasty bite, it bends its neck and dips its beak upside down in the water in order to catch it. Then it pushes the water out of the side of its sieve-like beak and swallows the prey. 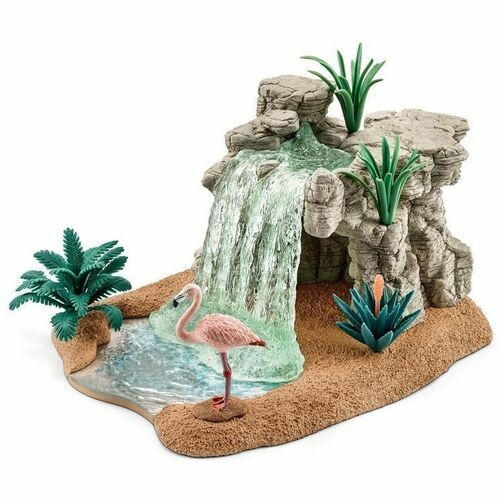 Set includes 1 x waterfall with ground plate, 1 x flamingo, 4 x reeds, 3 x ferns and 1 x agave with flower.